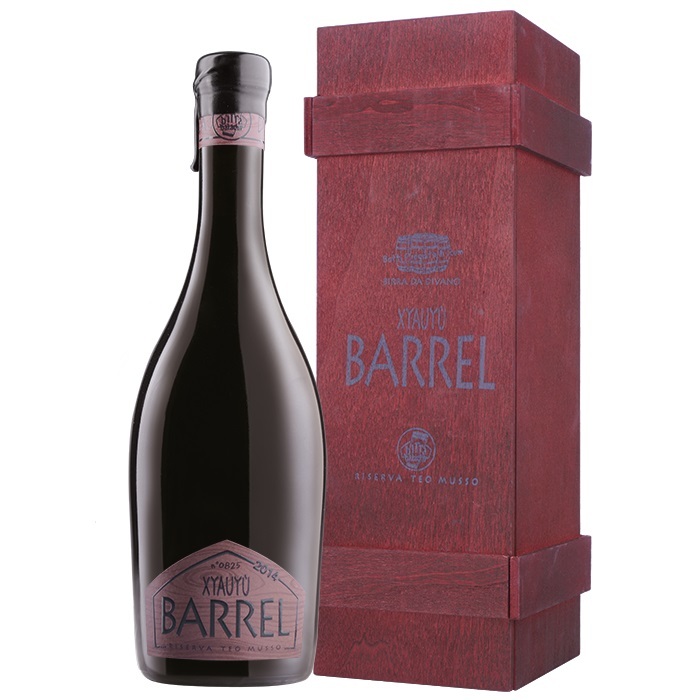 The 'Barrel' Xyauyu is aged in casks that formerly contained a rare and sought-after rum from an abandoned distillery on the Caribbean island of Trinidad. The taste of caramel, vanilla and fruit in syrup emerge and blend harmoniously with the typical warmth of this barley wine with notes reminiscent of the best rums. Teo Musso bottles these special beers in extremely limited quantities.